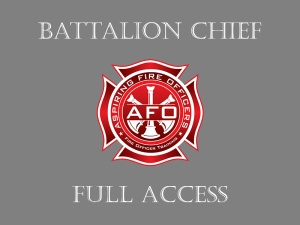 Members receive unlimited access for 4-months to ALL content within the Battalion Chief fire department promotional Oral Interview section and will be able to view two custom videos. This includes 30 pages of Battalion Chief oral interview questions and 75 pages of Fire Officer interview questions. 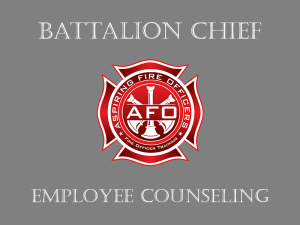 The first video titled, “Understanding Raters” gives our Battalion Chief members an insight to what the evaluators are looking for when scoring a fire department promotional interview. The second video titled, “Oral Interviews” gives our members specifics of how to succeed in the fire department promotional interview process. This includes strategies for how to navigate all types of common questions that you will like encounter during your fire department promotional interview. 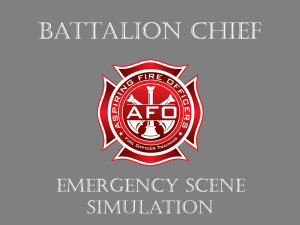 Members will be overwhelmed by 30 pages of Battalion Chief and 75-pages of complex Fire Officer oral interview questions and answers. We have compiled these questions from our successful students from all across America. The Battalion Chief interview questions cover a myriad of leadership, management, conflict resolution, and operational issues. You will certainly encounter many of these during the Battalion Chief interview and after you are promoted. The Fire Officer questions cover a wide range of topics including; personal questions, your ability to manage, customer service, fire prevention and job knowledge. These are common categories that are tested in the fire department promotional oral interview. There are also dozens of free downloads available to members. While the Fire Officer questions were developed for the rank below Battalion Chief, the concepts discussed absolutely apply. We have developed and reviewed the questions and have formulated what we believe are very in-depth and complete answers. Many of our members tell us that they have been asked the identical questions from our site during their promotional interview. Even if the questions are different than what is available to our members, the concepts for responding are the same. It is our goal to ensure that our members are not caught unprepared during the fire department promotional oral interview. The goal is to get our members to think about the concepts and formulate a response before the day of the exam. We believe that preparation is the key to success.